We were immediately smitten by Swedish Gradient Dyed Ull and its brilliant colors. It is put up in the same manner (wheels) as our solid-color Unspun Icelandic wool. And a single strand of SGU is identical in weight to 2-strands of Unspun Icelandic. Perf! The 100% wool (from 'local' Swedish sheep) is washed in an eco-friendly manner, and still retains a bit of lanolin. The dyeing process is their own secret recipe. This SGU is prepared on a carding machine that produces only a soft thick strand. To quote my mill-connection, Ann: "It is lovely and very popular with knitters, but the machine is impossible to control. The put up can be of different weights. It is a work of humans." 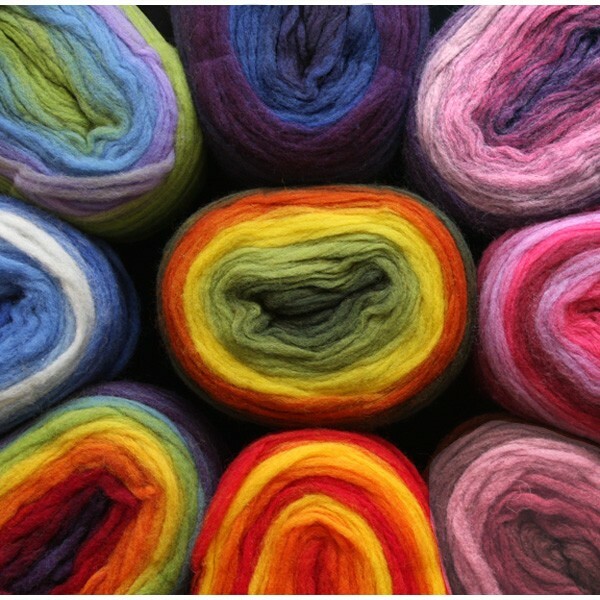 Indeed, the wool is put up in varying weights, so we have classified the wool into Small, S (at least 2.5 ounces), Medium, M (at least 3.5 oz, and enough for two caps.) or Large, L (at least 5 oz.) , XL (at least 7 oz. ), and XXL (at least 9 oz.) wheels. 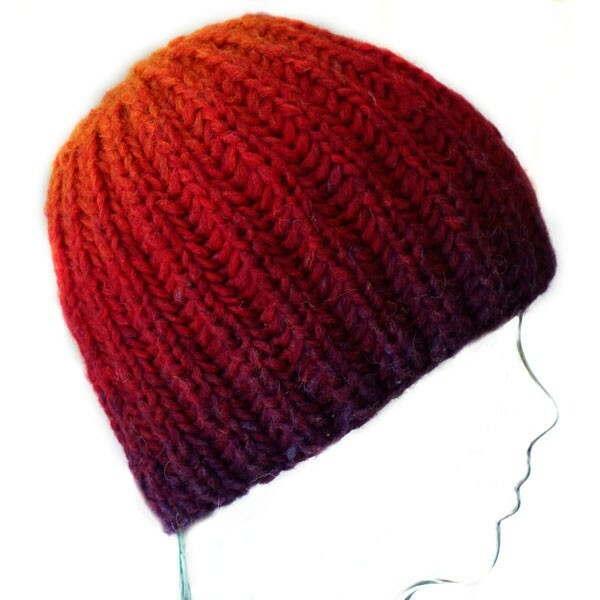 Material: 100% Wool Weight: Varies, Available in S (at least 2.5 ounces) M (at least 3.5 oz. ), L (at least 5 oz. ), XL (at least 7 oz. ), and XXL (at least 9 oz. 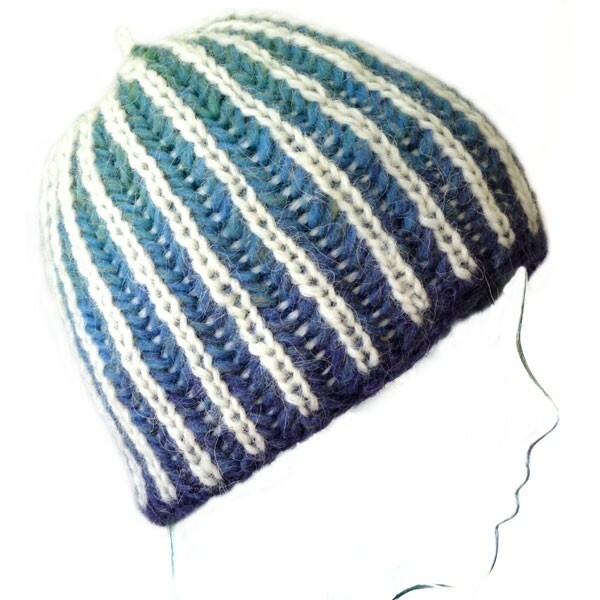 )Yardage: Varies based on size; a medium wheel should allow you to knit at least two caps. Approx. 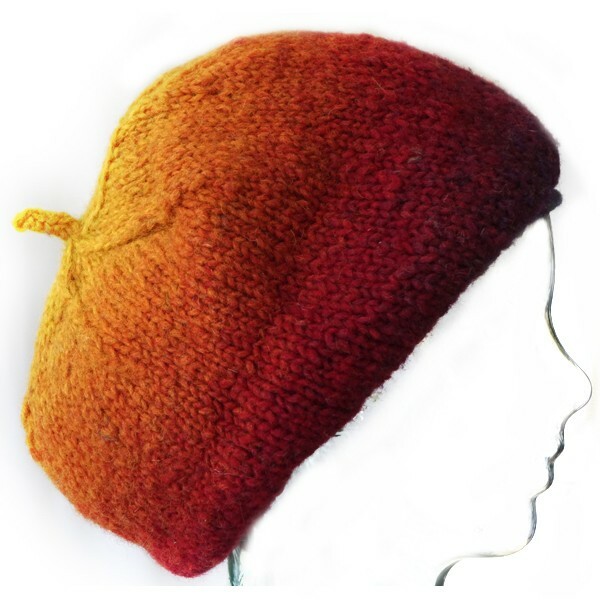 Gauge: The test knitting we have done so far has yielded ±4 sts to 1", combined with Unspun Icelandic in color-pattern. Limited Quantities. Choose the quantity for each color you wish to order and click Add to Cart at the bottom of the page.